When thinking of our military, the statement “ultimate sacrifice” conjures up thoughts of dying in the line of fire. For those of us not wearing the uniform, that truly does seem to be the ultimate sacrifice. As a military wife and mother, “ultimate sacrifice” sends a blood-curdling chill down my spine. Just this past week, my husband’s unit suffered an ultimate sacrifice, but it was not what anyone would have suspected. A soldier in the unit had to take an urgent emergency leave, fighting days of travel and no moments to spare. He was en route to get from one side of the world to another. He needed to beat the clock and get home to his family. His little boy was fighting for his life. Time was not on this soldier’s side. As the events of the past few days unfolded, my husband and I have not had our heads on straight. Just when we think our problems are beyond solving, inevitably we hear of someone else’s struggles which are significantly worse. Our conversations were all over the map – how do we help? What can we do? Have you heard any more? I knew how much my spouse was hurting because he could not be with his battle buddy. How do we really define it? My soldier explained that dying for the nation was not really the ultimate sacrifice, at least for him, because he would not be around to know. I, wanting to interrupt, waited for him to continue. Honestly, with as much as we have been apart, I could not agree more. I stopped and thought about all the things he and our son and countless others have missed due to training, field exercises and deployments: holidays, birthdays, anniversaries – that’s pretty obvious. But they miss so much more. How many births were watched via video feed? How many graduations, proms, school plays, T-ball games and other moments have been missed? Or the helpless feeling that comes over them when they aren’t home to comfort their colicky baby, fix a flat tire, or help with damaged caused by floods, tornadoes and other natural disasters? Think of all the moments in the day and milestones in a year, and I can perfectly understand just how a service member would feel that time is the ultimate sacrifice. Our battle buddy made it home in time to spend a few precious moments with his little boy, before life for that family was forever changed. I ask, if you would, please keep this family close in your thoughts and prayers. No need for names – our Father knows who they are. I would also ask, too, that if you really, truly want to honor and thank our veterans and service members, that you would make a personal commitment to make one change in your life: don’t waste your time. Put down that device and spend time with your loved ones. Stop bickering about politics. Don’t engage in toxic conversations. If your marriage is hurting, try to mend it. If you are estranged from a loved one, pick up the phone or send a letter. If you are battling with your neighbor, be the bigger person. Help where you can. Make your moments count. Pray. Hug your spouse, parents, children and grandchildren tight. Thanks, Lynne, for a beautiful reminder of the real sacrifice. Prayers for this family. On behalf of the family, Beth, we thank you for the prayers. This is such a profound post. Sharing. Carol, thank you so very much. Thank you so much for this post. It made me cry. I live in a Navy town, and every time the ship comes and goes I think about the sacrifice those soldiers make on so many levels. Thanks for reminding us. I will be sharing this with others. Have a great weekend. Lana, thank you for sharing. It is truly appreciated! Lynne – Thank you for such a beautiful and accurate post. First of all, prayers going out “battle buddy” and his entire family. Your story is so very true and brings back so many memories. Time is the one thing that once you spend it, it’s gone forever. I often wonder what my life would have been like if I hadn’t spent 3 plus years overseas during the Vietnam war. Most single servicemen I know, including myself, lost their fiance’s or girl friends. It was not a surprise. We couldn’t expect them to put their life on hold for 3 or 4 years. I missed a lot while I was overseas, but did a lot of growing up at the same time. Thank you for putting into words what I will be celebrating this Memorial Day! Bob, thanks so much for the prayers. And honestly, I can’t say enough how much your service and sacrifice is appreciated. What you and your battle brothers went through was especially difficult, given the time area and lack of technology that we are blessed with now. Thank you once again for the sacrifice you made. Enjoy your weekend. What a beautiful post. I am a military mom also my son served 5 years in the Marine Corps. In 2011, I was rushed to the ER after a long illness. After serving 14 months in Afghanistan he was latter deployed to Japan. He landed two hours before the earthquake hit. He had been there 11 months when I was taken to the hospital. The Red Cross here got in touch with whoever was incharge. They didn’t think I was going to make it. My son was immediately put on a plane and brought straight to the hospital. I couldn’t believe it when i opened my eyes. I’ve never forgotten that moment in time. Obviously I survived but it took 3 transfusions and alot of prayers. Thanks for your post. 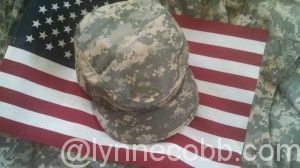 Rena McDaniel-The Diary of an Alzheimer’s Caregiver recently posted…WHAT DOES MEMORIAL DAY MEAN TO YOU? Wow, Rena. So glad you are okay now. The Red Cross can do amazing things. Please thank your son for his service, and thanks so much for taking the time to share your story! Commenting here to let you know what a terrific post this was is the best use of my time I can think of. Thanks for a truly memorable post. Thank you, Roz. That really means a lot to me. being away during holidays was really tough, and I served in peace-time. so many sacrifices our vets and current military make, things we don’t even think about… thanks for the reminder. and thanks to all who served. Karen, thank you for your service, too. Thanks for the poignant reminder. Time is our greatest gift. Thank your husband and son for the sacrifices they make to defend democracy for all of us. I will thank them for you. And I really enjoyed your tribute to the WWII hero. As a mother of a soldier, I feel this post in all its aching, tearing, awful truth. Thinking of our servicemen and women and their sacrifices . . . The sacrifices our servicemen and women make on a regular basis are immense. My heart goes out to your battle buddy and his family…they will be in my prayers. This is a truly thoughtful reminder that time is the greatest gift…we should not squander it away. Please thank you husband and son for us for their service. At the base of it all is love… Love for our country, and on all sides, love for the people that make up this great nation… Thanks to your friends for their sacrifices and for their love. I just want to let you know I linked this article in my Memorial Day post today. It is so thoughtful and well written, I wanted to share it with my readers as well. I really appreciate your viewpoint and how you point out that military service is a sacrifice by many people, on many levels. We should honor that today. Susan – ofeverymoment recently posted…Memorial Day: Remembering Lives and Time Spent for Us. Great post Lynne — and every word true blue. Our best to your husband and son. Thanks Cindy. I will definitely share your sentiments with my husband and son. Thank you for this. It blessed me. Beautiful, Lynne. Something I never thought of. When my dad was in the Korean War, mom would send him tons of photos of my oldest brother because he was missing seeing him grow up. That must have been very tough. Lovely post. Very moving. And so spot on. Time, the ultimate sacrifice. I’ll be thinking about that and also of the family you mentioned, keeping all of them and your family and all the families in my prayers. Thank you for the prayers, Betsy.